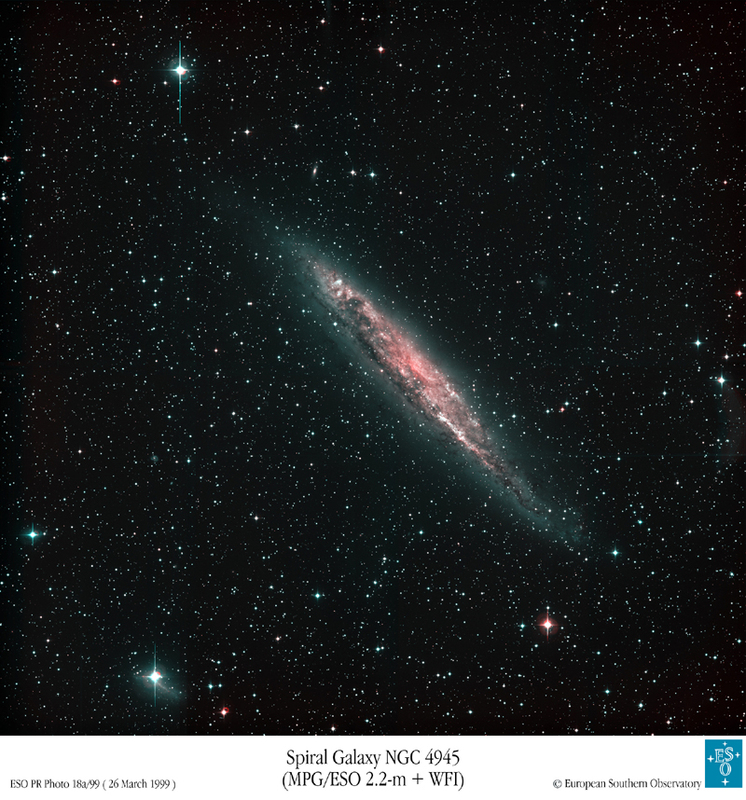 Explanation: For such a close galaxy, NGC 4945 is easy to miss. NGC 4945 is a spiral galaxy in the Centaurus Group of galaxies, located only six times farther away than the prominent Andromeda Galaxy. The thin disk galaxy is oriented nearly edge-on, however, and shrouded in dark dust. Therefore galaxy-gazers searching the southern constellation of Centaurus need a telescope to see it. 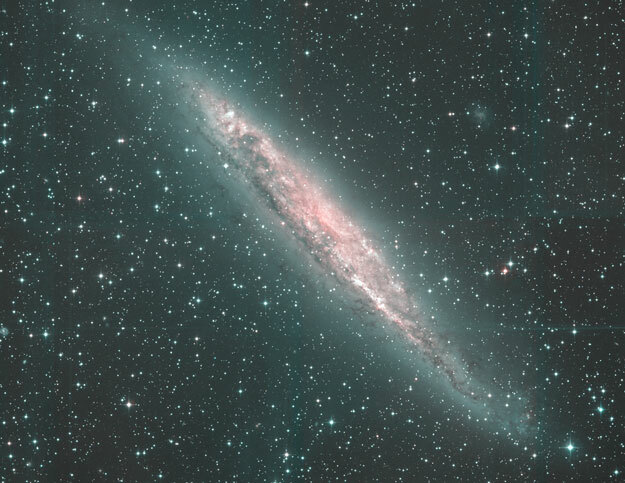 The above picture was taken with a large telescope testing a new wide-angle, high-resolution CCD camera. Most of the spots scattered about the frame are foreground stars in our own Galaxy, but some spots are globular clusters orbiting the distant galaxy. NGC 4945 is thought to be quite similar to our own Milky Way Galaxy. X-ray observations reveal, however, that NGC 4945 has an unusual, energetic, Seyfert 2 nucleus that might house a large black hole.